There's something that's just so elegant and classy about gold and black, and this fabulous 80th birthday card plays right into that. 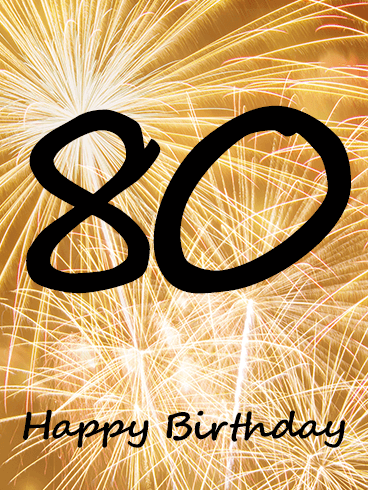 The fireworks in the background are fun and bright without being overbearing, and the number 80 really steals the show. This is the perfect way to get that special someone in your life excited about their upcoming birthday! Every birthday can be a new beginning. Glittery, multi-colored balloons with golden streamers, over a cheerful green background is just the thing to visually express all the pomp and festivity that a fresh start deserves! Send this bright birthday card to a sibling, friend, a coworker, or just anyone to let them know you're rooting for them this year, and today! With a boom, sizzle, and a pop, fireworks brighten the sky and bring joy to everyone who sees them. Your loved one may not grab as much attention, but they do bring the same excitement and happiness to everyone who meets them. With the fireworks on this Happy Birthday card, you can bring the same pizzazz to their special day. 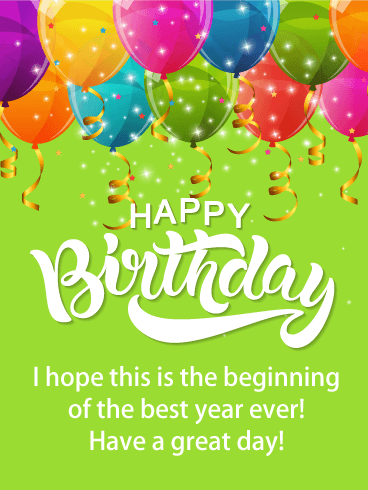 Birthdays should be the best and most memorable day of the year, so send this birthday card today! 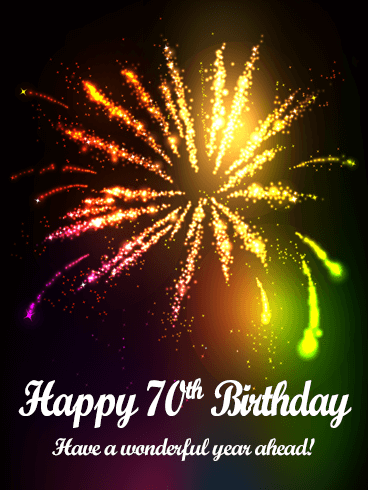 What better way is there to celebrate this huge milestone than with rainbow-colored fireworks?! This birthday card screams celebration and is the perfect way to get the birthday guy or gal excited for their big day. Let someone you care about know you're thinking of them on their special day. The design of this card is simply stunning, and the wish for a wonderful year ahead is sure to make the recipient smile. A birthday is only one day, but what if you want to send a card that promises to spread happiness for more than just a single day? Look no further! Bunches of balloons with little bows and tosses of confetti adorn the color changing background. This birthday card will have your recipient grinning from ear to ear when they read that you're wishing them an amazing year! Your loved one is an explosion of life, love, and light in every situation. They make every day better and brighter, so they deserve a birthday celebration that does the same. 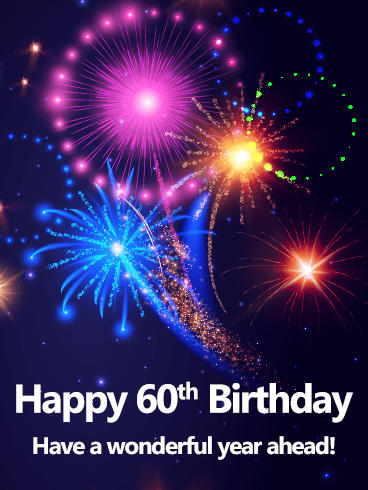 Fireworks are the perfect addition to a birthday celebration, so this Happy Birthday card is the best gift you can give. You love them more than anything, so make this day a great memory to cherish for the next fifty years. 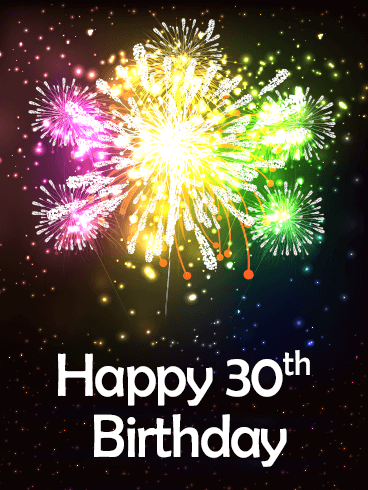 The booms and sparkles of the fireworks on this Happy Birthday card are the perfect start to your loved one's birthday! 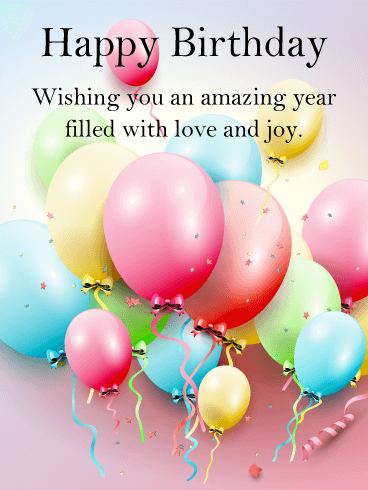 The best birthdays are those that are celebrated and made better by the people you love, so send this Happy Birthday card to celebrate your friend or family member's special day. They will always be important to you, so let this gift show them how much you care! There is a special feeling that every person gets when watching fireworks, an awe-inspired excitement that swells every time the colors burst across the sky. Your loved one is a special person that deserves a birthday celebration that inspires the same feeling. 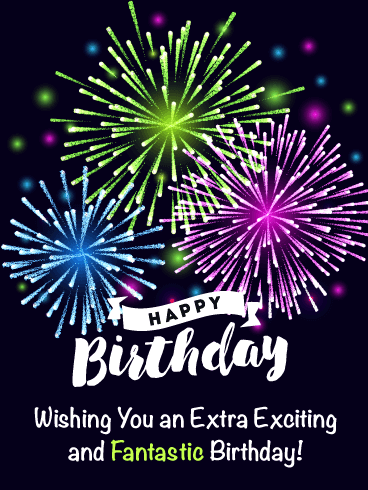 With the bright and colorful fireworks on this Happy Birthday card, you can give them that wonderful feeling and create a birthday they will always remember! 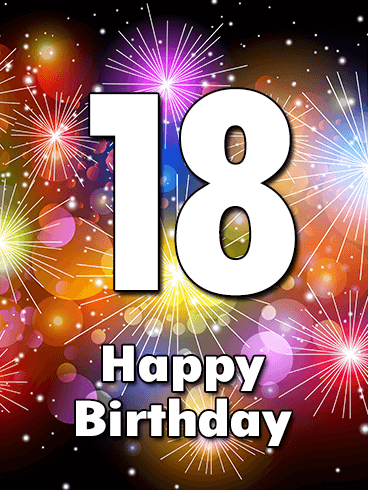 Turning 18 is one of the best and most memorable moments in a person's life. 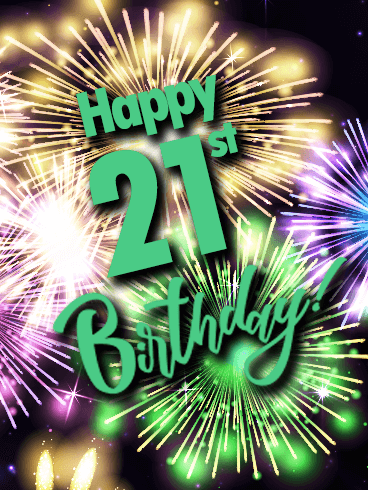 Like all big events, your loved one's 18th birthday deserves a celebration with as much pizzazz, light, and fun as the fireworks on this Happy Birthday card. Becoming an adult is the start of the best part of their life, so give them a gift that reflects this importance! 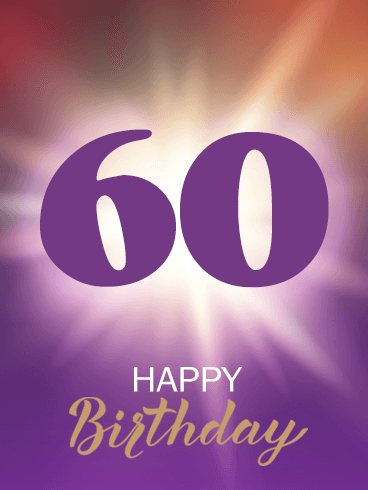 Few things are as exciting as celebrating a 60th birthday. 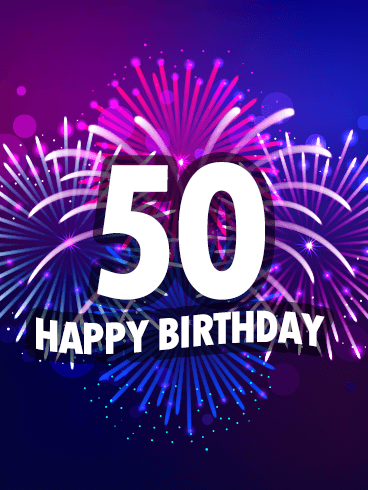 Your friend or family member has spent the last six decades making the world a better place, so you want to create a birthday celebration that shows appreciation for this love and selflessness. With this shining Happy Birthday card, you can show them how much light and joy they bring to your life. 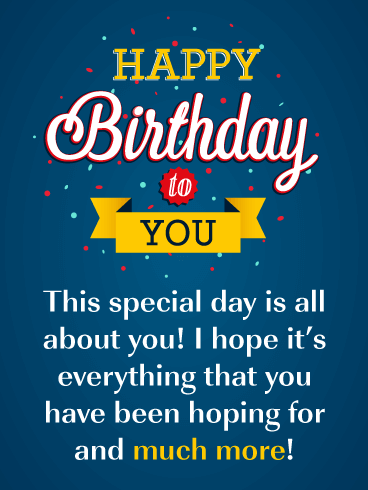 No one is more deserving than they are, so send this Happy Birthday card today! Because gold is so expensive, it is only used to decorate the most important events and gifts. 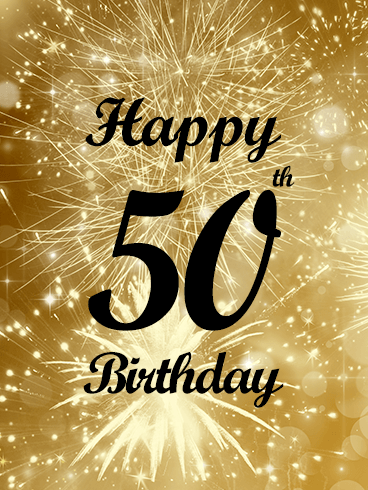 Your loved one is celebrating half a century of life, laughter, and memories, so gold is the only decoration worthy of their celebration. With the golden fireworks on this Happy Birthday card, you can offer an elegant gift that is perfect for such an important occasion!